This year’s FEI Dressage Nations Cup™ gets under way in Wellington this week with teams from across the world looking to emulate Sweden’s victory in 2017. 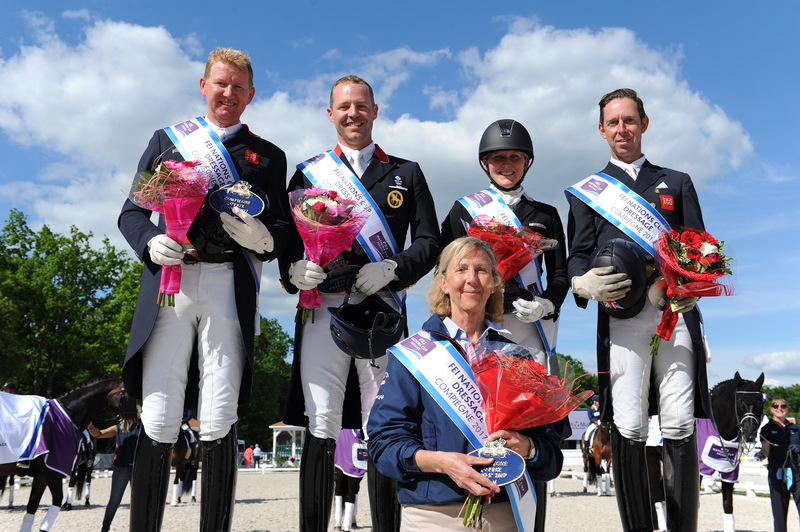 There will be seven legs over the next few months, with the final event taking place in Hickstead in July. Last year Patrik Kittel and the Sweden team edged the USA and Denmark to take the title. While the Wellington CDIO3*leg does not award FEI Dressage Nations Cup™ points, it’s a great start to the team campaign, and Australia, Canada, Spain and the USA will each put teams forward this week. Last year the victorious Canadian team – who won the Wellington team event for the first time - was composed of Large Tour competitors Megan Lane and her own Caravella, a 2001 Dutch Warmblood mare, along with Jill Irving, Tina and Jaimey Irwin. It was certainly an event to remember for Lane, who had taken part in the Olympic Games in Rio de Janeiro just six months before, and believes team events offer Dressage riders something special. “It is always an honour to be named to Team Canada,” Megan said. “The Nations Cup is one event that gives the equestrian community an opportunity to come together and see their horses and riders compete in an exciting competition! Lane served as the anchor rider for the team and rode to a 70 176% in the FEI Grand Prix Special, while Irving trailed just behind with a score of 69 588% in the FEI Grand Prix Special CDIO 3*. After success with her teammates a year ago, she is targeting further success this time around with Irving, Diane Creech and Brittany Fraser-Beaulieu. “My fondest memory at last year’s Nations Cup was celebrating the win with my fellow teammates,” she said. Lane is already looking ahead to the World Equestrian Games in Tryon in September, and keen to make sure that her three horses, Caravella, Zodiac MW and San D'Or, seal qualification. Speaking about her horses she said: “Zodiac, who I have been working with for over five years, and San D'Or, who I started when he was just three, are both very special horses, and both owned by Deer Ridge Equestrian.